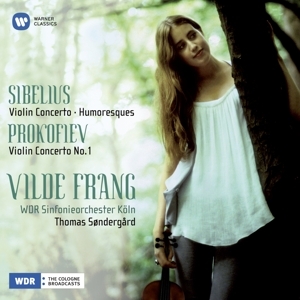 Vilde Frang was unanimously awarded the Credit Suisse Young Artist Award in 2012 and made her debut with the Vienna Philharmonic under Bernard Haitink at the Lucerne Festival. Orchestre de Paris, Tonhalle-Orchester Zurich, St. Petersburg Philharmonic, Washington National Symphony, Sydney Symphony and the NHK Symphony in Tokyo, with conductors such as Valery Gergiev, Vladimir Ashkenazy, Mariss Jansons, Herbert Blomstedt, Daniel Harding, Marc Minkowski, Ivan Fischer, Vladimir Jurowski, Paavo Järvi, Neeme Järvi, David Zinman, Leonard Slatkin, Esa-Pekka Salonen, Yuri Temirkanov and Sir Simon Rattle. She regularly appears at festivals in Salzburg, Verbier, Lucerne, London Proms, Rheingau, Mecklenburg-Vorpommern, Lockenhaus, Prague Spring Music Festival and George Enescu Festival Bucharest. Amongst her collaborators were Gidon Kremer, Yuri Bashmet, Lawrence Power, Nicolas Altstaedt, Sol Gabetta, Leif-Ove Andsnes, Martha Argerich, Alexander Lonquich, and the Ébène Quartet. As soloist and in recital with her duo partner Michail Lifits, Vilde has performed at venues such as the Concertgebouw, Musikverein, Wigmore Hall, Royal Albert Hall, Tonhalle Zurich, Bozar Brussels, Rudolfinum, Tchaikovsky Hall, in Vancouver Recital Series, Boston Celebrity Series, San Francisco Performances, and at Carnegie Hall. 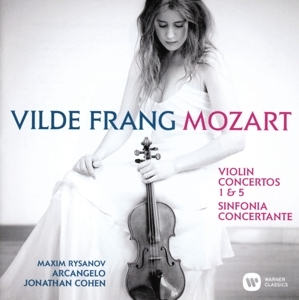 Vilde Frang is an exclusive Warner Classics artist and her recordings have received numerous awards, including a Classical BRIT, Edison Klassiek Award, Deutsche Schallplattenpreis, ECHO Klassik Award, Diapason d'Or and Gramophone Magazine's "Editors Choice". Born in Norway in 1986, Vilde was engaged by Mariss Jansons at the age of twelve to debut with Oslo Philharmonic Orchestra. She studied at Barratt Due Musikkinstitutt in Oslo, with Kolja Blacher at Musikhochschule Hamburg and Ana Chumachenco at the Kronberg Academy. She has also worked with Mitsuko Uchida as a Borletti-Buitoni Trust Fellowship winner 2007, and was a scholarship-holder 2003-2009 in the Anne-Sophie Mutter Foundation. Vilde Frang performs on a Jean-Baptiste Vuillaume from 1864.